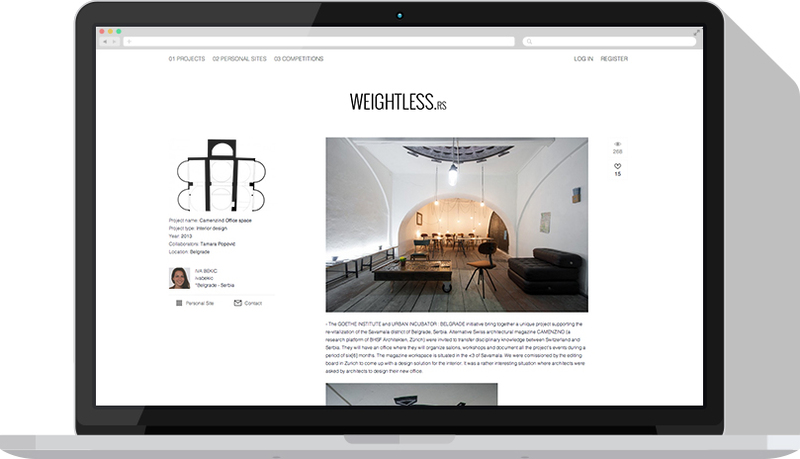 Weightless is a digital platform designed for architects, created to remove the boundaries between talented professionals and opportunities. Sounds serious, doesen't it? :) Well it was pretty serious since we developed the whole system from scratch. 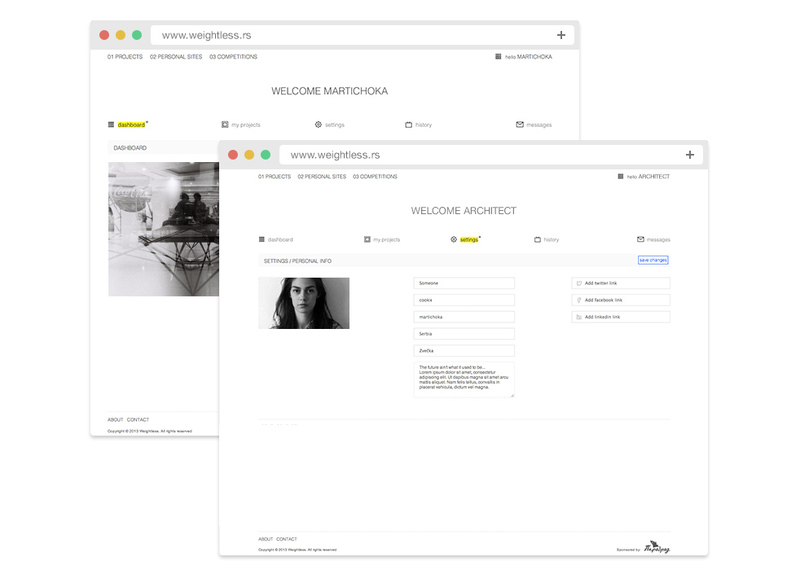 It really took a lot of time and energy, and we couldn't have done it without a backend developer Aleksandar Stevanovic. Checkout him out, he is really good, but whatever you do, don't look at his picture - you might fall in love ;).